The botched Renewable Heat Incentive (RHI) scheme was set up to encourage uptake of eco-friendly heat systems over the use of fossil fuels. But its overgenerous offer of fuel subsidies meant it could cost taxpayers an extra £490m. The fall out has now caused the collapse of the power-sharing Northern Ireland Executive. BBC News NI looks at those who have found themselves in the spotlight over the scandal. Northern Ireland's former first minister, Arlene Foster, headed up the Department of Enterprise, Trade and Investment (Deti) when the RHI scheme was designed. Crucial controls to limit the scheme's cost were not introduced, something she has since said is her "deepest political regret". But the Democratic Unionist Party (DUP) leader fiercely contested claims by Jonathan Bell - her party colleague and successor as enterprise minister - that she ordered him to keep the scheme open. In the wake of his allegations, Mrs Foster faced calls to step aside to allow a judge-led public inquiry into the scheme. Mrs Foster re-stated in January that she would not be standing down over the issue, adding that some calls for her to do so were "misogynistic". In the end, her time as first minister was brought to an abrupt end when the Deputy First Minister, Martin McGuinness, resigned, forcing an election. Jonathan Bell was the minister at Deti during the period that the RHI scheme did the most damage to the public purse. A total of £485m was committed when applications suddenly flooded the department in October and November 2015. But in an explosive interview with the BBC's Stephen Nolan earlier this month, Mr Bell said he tried to close it down before that point, only to be thwarted by DUP advisers. He also accused the advisers of trying to alter documents "without my knowledge, without my consent". The DUP MLA has called for a public inquiry into the scandal, and has since been suspended by his party. Although he shies away from the public eye, Timothy Johnston (above left, with former DUP leader Peter Robinson) has long been regarded as perhaps the most powerful official behind the scenes at the DUP. In the days when the party opposed David Trimble's Ulster Unionists, Mr Johnston was its communications director, working particularly closely with Peter Robinson. He was involved in the negotiations around the St Andrews Agreement that led to the restoration of devolution in 2007, and has been an adviser at Stormont Castle for Ian Paisley, Peter Robinson and now Arlene Foster. The Paisley family publicly blamed Mr Johnston for compiling a critical survey about Dr Paisley's leadership before the party founder resigned, a claim he said was regrettable and inaccurate. He is one of two DUP advisers that Jonathan Bell has claimed would not allow the RHI scheme to close in early-autumn 2015, but he has rejected that allegation. A son of a farmer from Beragh in County Tyrone, Dr Andrew Crawford is a former employee of the Ulster Farmers' Union. He was an assistant to the former DUP MEP Jim Allister before the North Antrim politician quit to form the Traditional Unionist Voice (TUV). Dr Crawford was an adviser to Arlene Foster when she was enterprise minister during the time the RHI scheme was created, and followed her to the Department of Finance and Personnel last year. Jonathan Bell accused him of preventing the closure of the scheme, but Dr Crawford has denied that claim. He was also named by senior civil servant Andrew McCormick, in a PAC hearing, as the adviser who exerted influence to keep the scheme open - although Dr McCormick said he had no evidence for his claim. These days, he advises another DUP minister, Michelle McIlveen in the Department of Agriculture, Environment and Rural Affairs. Dr Crawford's poultry-farmer brother is a claimant of the RHI scheme. A qualified barrister, Richard Bullick is one of the DUP's most important policy advisers and has been deeply involved in various political negotiations down through the years. Last year, he gave evidence to a Stormont committee about contacts between ministers and bidders involved in the controversial Nama property deal. In the more distant past, he was a junior barrister to Jim Allister and was involved in the DUP's decision to lure Mr Allister back from the legal world to replace Ian Paisley as an MEP. But the DUP's leadership came to regret that move later, when Mr Allister rejected its deal with Sinn Féin and set up his own party, the TUV. Jonathan Bell said Mr Bullick was present for his "hostile" meeting with the first minister, but the adviser has said he was not there. One of the more recognisable of the DUP's advisers over the years, Stephen Brimstone is no stranger to controversy. He was an aide to the former social development minister Nelson McCausland, during which time he became entangled in the Red Sky housing maintenance scandal, and his treatment of then DUP councillor Jenny Palmer over that affair led to her whistleblowing on a BBC Spotlight programme. Mr Brimstone was later promoted to advise the first minister but resigned from his role in November. According to Jonathan Bell, Mr Brimstone was one of three advisers who witnessed a tense and angry exchange between him and Arlene Foster over the proposed closure of the scheme in early 2016, but he, like Mr Bullick, said that was not the case. 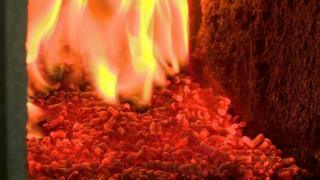 He has confirmed that he is a claimant on the RHI scheme, but Arlene Foster has said his link to it was not a factor in his decision to quit his £91,809-a-year job. His brother, Aaron, is also a beneficiary of the green energy initiative, the Irish News reported in December. Timothy Cairns was Jonathan Bell's adviser at Deti, and offered advice to the minister about the controversial RHI scheme. But he has said that the ultimate decisions about it were for the minister to make. Mr Bell said his adviser told him that other DUP advisers were preventing the closure of the scheme. Timothy Cairns previously worked as an aide to Peter Robinson when he was first minister, but is no longer employed as a DUP adviser. As the permanent secretary at the Department for the Economy, formerly Deti, Dr Andrew McCormick is the man who has to clear up much of the mess of the RHI scheme. He arrived at the department in 2014, long after the scheme was conceived, and drew Jonathan Bell's attention to major concerns over its operation in the summer of 2015. In an email in January 2016, Dr McCormick said there was "some initial reluctance" to limit the generous tariff offered by the scheme shortly before a crucial spike in applications that led to a spending commitment of almost half-a-billion pounds. And appearing before Stormont's Public Accounts Committee in November, he said a whistleblower flagged concerns with the scheme two years before its closure, but she was not believed by officials. A former permanent secretary at Deti, David Sterling has denied trying to "duck responsibility" for his role in the RHI scheme's set-up. "I'm not seeking to pass the buck," he told Stormont's Public Accounts Committee. "I accept responsibility for failures which occurred during my time." But he told the committee's inquiry on the RHI fiasco that he had "no satisfactory answer" for why a planned review of the initiative in January 2014 did not happen. Mr Sterling moved to the top civil service post in the Department of Finance and Personnel in July 2014. Jonathan Bell claimed that Chris Stewart, his deputy permanent secretary at Deti, sought a one-to-one meeting to blow the whistle on an attempt by DUP advisers to remove references to Arlene Foster from official documents about the RHI scheme. The former minister said Mr Stewart was willing to back his claims in a public inquiry, but three days later the civil servant disputed Mr Bell's version of events. He said he "did not seek a meeting as a whistleblower". He did acknowledge that a DUP adviser changed wording of a Deti document, but added that Mr Bell later "advised that he had dealt with the matter to his satisfaction". Up until June 2016, John Robinson was the DUP's director of communications, a role he relinquished when he was appointed as a special adviser to the Department for the Economy. Jonathan Bell named Mr Robinson on the Assembly floor as one of two DUP advisers - the other was Timothy Johnston - with "extensive interests in the poultry industry". At the time, Mr Robinson said his family farm has chicken houses which are not part of the RHI scheme but did not mention his in-laws had benefitted from the green energy subsidy. The party described Mr Bell's comments as "nothing short of mud-slinging". When the Press Association revealed his father-in-law's involvement in the scheme, Mr Robinson issued a statement explaining that, before he got married, his father-in-law purchased two 36kw boilers for his poultry business in May 2015 and applied to the scheme on 3rd August 2015. He said he did not discuss RHI with his father-in-law and that neither he, nor his wife, had any role or benefit in his in-laws' farming business.